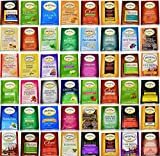 Our Twinings Tea Bag variety contains 48 pack, all different flavors. Find your favorite! GREAT FOR ANY OCCASION AND PURPOSE: Perfect GIFT as a care package for college students, schools kids, co-workers, military personal, your family, friends and yourself. MAKE IT A GIFT: Comes in a decorative gift box with a fancy blue ribbon gift design. 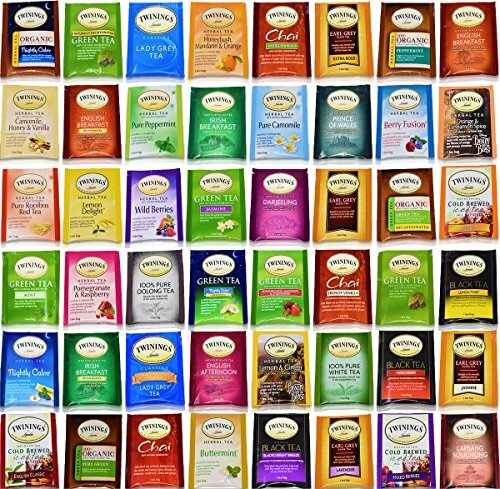 Indulge your family, your loved ones and yourself with this Twinings Tea gift box.